New Project…Maybe? 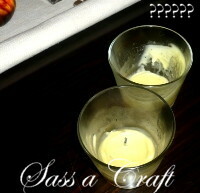 | Sass a Craft - Muslim Women are Smart & Crafty Too! After browsing the Internet, I found a pretty nice project to embark upon. I don’t have any baby food jars, but I think my candle cups will do just fine (we’ll see In Shaa Allaah). I’ll post some pictures upon completion.